Gear Section Have some questions about the best safety gear for you? Ask it here! After many requests and popular demand, the 1st gen KLX250 (06-07) Enduro Series rack is now available at https://www.pmracks.com/products.php?id=148. Like all Enduro Series racks, they are RotoPax ready and compatible with many Wolfman Luggage products. 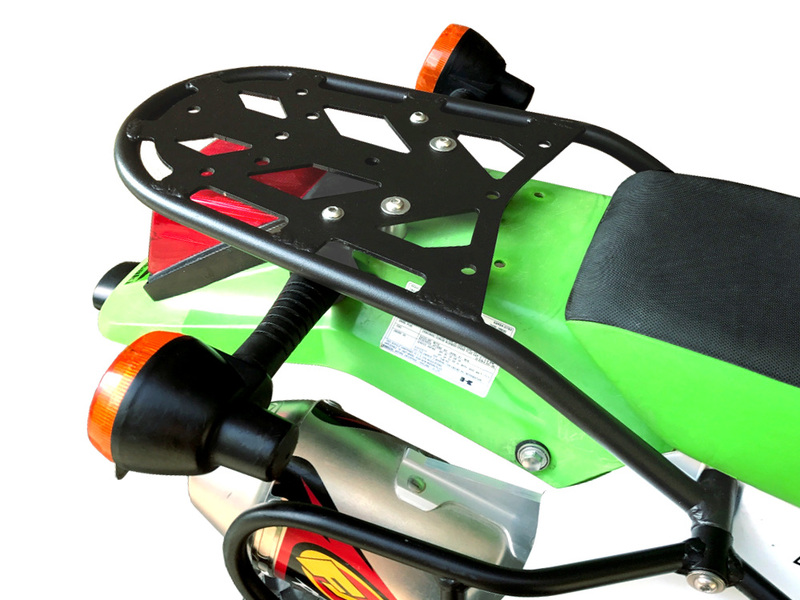 All 1st gen KLX250 rear racks will include a separate bracket to relocate your turn signals. These racks are very strong and look very good. Love them! These rack look good and are very strong. Love them. Just installed the same rack on my 2018 KLX250 last weekend. Very high quality and strong (I picked up the bike by the rack, no problem).